Launched in 2010, Bloganthropy is a unique awards program dedicated to recognizing bloggers who effectively use social media and online influence for social good. 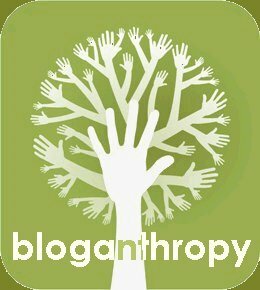 Bloganthropy.org aims to empower bloggers to become philanthropic leaders in their communities. Katherine Stone, publisher of Postpartum Progress, is recognized for drawing focus to postpartum depression. Stone became an advocate for women with perinatal mood and anxiety disorders after experiencing a severe bout of postpartum depression herself in 2001. Her feelings of fear and isolation inspired her to create Postpartum Progress, now the most widely read blog in the United States on postpartum depression (PPD), postpartum anxiety, postpartum psychosis and other mental illnesses related to pregnancy and childbirth. Bloganthropy recognizes her work in using digital and social media for great good. Susan Niebur is the winner of the second annual Bloganthropy Award and is the blogger behind Toddler Planet. An astrophysicist who has worked for NASA and mother of two young boys, Susan has battled inflammatory breast cancer four times, surviving countless surgeries, intense radiation and chemotherapy. Through her blog, Susan has spread awareness about the disease, “the cancer that kills without the lump,” and has lead thousands of women to join the Army of Women, a movement founded by the Dr. Susan Love Research Foundation and the Avon Foundation for Women that provides women afflicted with breast cancer access to potential research studies and participation in treatment trials. Susan sits on the board of the American Cancer Society, is active in its More Birthdays campaign, and has been featured by media across the country. Devan McGuinness, publisher of the blog, Unspoken Grief, was named the winner of the 2012 Bloganthropy Awards. McGuinness, the mother of three living children and 12 babies lost through miscarriages and stillbirth, started her blog Unspoken Grief as a means of helping other families wade through the challenges associated with perinatal and neonatal loss. This is the first time the Bloganthropy Awards were held at BlogHer, the world’s largest conference for women in social media. Additionally, a special Bloganthropy Achievement Award was given to Kristine Brite McCormick for the creation of Cora’s Story, a blog that chronicles her thoughts and feelings surrounding the unexpected 2009 death of her newborn daughter from an undetected congenital heart defect (CHD). Denisse Montalvan is Chief Inspired Visionary and founder of The Orphaned Earring, a nonprofit dedicated to bringing arts and crafts, school supplies as well as year-round festivities to four orphanages in Latin America, Nicaragua, Colombia, Guatemala and Mexico. By collecting orphaned earrings and unwanted jewelry, The Orphaned Earring re-purposes and recycles the materials by creating bracelets to sell. 100 percent of the proceeds benefit the orphanages and their surrounding communities. Leticia Barr is a professional blogger, columnist, social media consultant, and founder of Tech Savvy Mama. She is a former teacher who holds an M.A.T. from Tufts University and a M.S. in School Administration and Technology Leadership from Johns Hopkins University. Leticia likes using her teaching background to educate parents about topics related to online safety and is well-versed in the online environment as a distance learning instructor and blogger. She has taught online classes for University of Maryland, PBS TeacherLine, and Northampton Community College, freelanced for national sites like Parenting.com and Savvy Source, consults for companies such as PBS Teachers, ChicaLogic, BitDefender, Virtual Nerd, and Location Labs, and serves on the American Cancer Society Blogger Advisory Council and Yahoo! MotherBoard. Leticia lives in the DC Metro area with her husband, two children, and their Yellow Labrador. Ally Del Monte, a teen who faced serious adversity and school bullying tells her story to educate the students and faculty at The Glenholme School. Ally has turned her story of heartbreak into one about the unbreakable human spirit. After five years of generating awareness and helping others with her various writings including her blog, LoserGurl.com, Ally earned national recognition and was featured on several television programs including ABC’s We Day. She has a mission to help other young people #BeBrave and believes that people should be accepted for who they are, no matter where they fit in “societies” ideals.